Lawyer, MLA (1941-1945), MLA (1946-1949), MLA (1950-1953), judge. Born at Portage la Prairie on 20 March 1896, son of Richard Henry Smith and Marion Sarah Marshall, he came to Winnipeg at an early age and was educated at Mulvey School, Kelvin High School, and the University of Manitoba, winning gold medals in history and economics at the latter. After service in the First World War, he became a Rhodes Scholar at Queen’s College, Oxford. 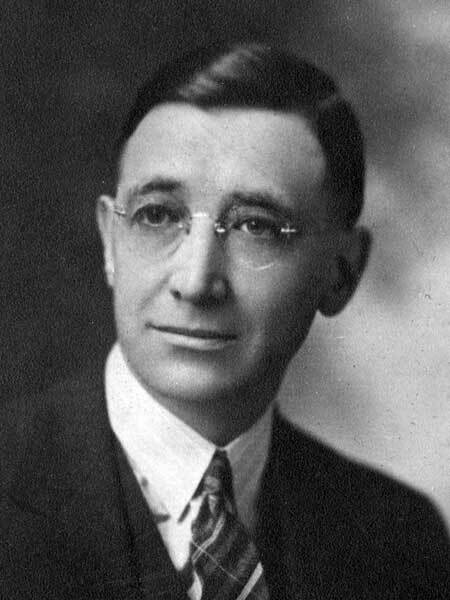 He was called to the Manitoba Bar in 1923 and served on the Winnipeg city council from 1935 to 1941. He was elected to the Manitoba Legislature in the 1941 general election and was re-elected in 1945 and 1949. He was a cabinet member in the Garson government, serving as Minister of Labour (1946-1948) and later Minister of Education (1948-1950) and Attorney General (1950-1952). He was appointed chairman of the Restrictive Trade Practices Commission in 1952 and chairman of the Canadian Labour Relations Board in 1953. For many years he was president of the Canadian Legion. In 1963 he was appointed a justice on the Court of Queen’s Bench. He joined the Court of Appeal three years later and, in 1967, became Chief Justice of Manitoba. Following his retirement, he chaired the commission of inquiry into the Pas Forestry and Industrial Complex, which reported in 1974. He married Luella Gertrude Lick on 24 July 1924. They had two sons: Clifford Rhodes Smith and Murray Rhodes Smith. He was given a Manitoba Centennial Medal by the Manitoba Historical Society in 1970 and an honorary degree by the University of Winnipeg in 1973. He received the Queen Elizabeth II Silver Jubilee Medal in 1977. He died at Winnipeg on 30 September 1993 and was buried in the St. John’s Cathedral Cemetery. Obituary, Winnipeg Free Press, 6 October 1993, page 22.